According to the State of Europe’s Common Birds 2007 report, the Turtle Dove population in Europe has fallen by 62% in recent times. This is partly because changed farming practices mean that the weed seeds and shoots on which it feeds, especially Fumitory, are scarcer, and partly due to shooting of birds during migration in Mediterranean countries. The arrival in spring is heralded by its purring song, a rather deep, vibrating “turrr, turrr”, from which the bird’s name is derived. Despite the identical spelling, the “turtle” of the name, derived from Latin turtur, has no connection with the reptile, “turtle” in that case coming originally from Late Latin tortuca. Trying to tie a topic to the turtle doves is a bit hard. 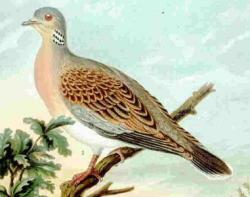 In reading the Wiki Post, Turtle Doves have become emblems of devoted love. That said, I think we should always be devoted to helping others. Locally, the economy has hit some families pretty hard and there are plenty of families who could use help with medical bills, food, utilities or caring for someone while they work. In my workplace they put up an angel tree and list families who have requested help with a child’s name and an item or two that they need or want for Christmas. Churches are good sources for helping with these kinds of things and while I am not religious, I do feel there is a lot of good that comes from the help they provide during the holidays. There are other outlets that you can also go to for resources. and if you call your local social services they will be able to put you in touch with families that they are aware of that need some extra help. Even if you write a check for a portion of their heating costs will truly be appreciated. The elderly might appreciate a shoe box with a book, some coffee or hot chocolate and a mug, some puzzle books, lotions or chocolates. Put together an old Christmas tree and provide a family that can’t afford a tree. I have several in the building as I said yesterday. While they are not necessarily eco friendly trees they will provide some holiday happiness to a family that might otherwise not have a tree. Better yet, purchase them a live tree and take it to them. I think everyone has extra ornaments and light to share. I know I have lots of ornaments that have been brought into the house over the years of living with a school teacher and his students give him ornaments. eHow.com has a great list of instructions about how to go about finding and providing for a family in need. Talk to your friends and neighbors and there is no doubt in my mind that you will be able to be a big help to someone in your area this holiday season. By the end of the song and all those verses of the Twelve Days of Christmas the recipient has 22 Turtle Doves. That is a lot of doves and plenty to share with lots of needy families. Open your heart and find someone locally that could use help and become devoted this season to helping others in need. I can look out my window and see people in need now. Susie Morgan Wilburn • This entry was posted in Christmas, Healthy Living, Holidays. Bookmark the permalink.